Ergonomics In Dentistry : Are your eyes & back paying a steep price ? Ergonomics is the scientific discipline concerned with the understanding of interactions among humans and other elements of a system, and the profession that applies theory, principles, data and methods to design in order to optimize human well-being and overall system performance.Ergonomics is concerned with the ‘fit’ between people and their technological tools and environments.Workplaces and change of professional habits may either take the reactive or proactive approach when applying ergonomics practices. 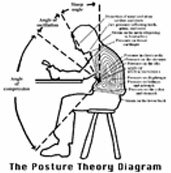 Reactive ergonomics is when something needs to be fixed, and corrective action is taken. Proactive ergonomics is the process of seeking areas that could be improved and fixing the issues before they become a large problem. Problems may be fixed through equipment design, task design, habit modification or environmental design. Equipment design changes the actual, physical devices used by people. Task design changes what people do with the equipment. Environmental design changes the environment in which people work, but not the physical equipment they use. In the practice of dentistry global scientific reports of occupational injuries upon the practicing dentist or assistants range from mild muscle fatigue, to debilitating and possibly career ending disorders.Studies as recent as 2006, indicated that 87 % of Queensland’s dentists reported symptoms from musculoskeletal disorders.There are many habits and motions, which cause this, such as twisting of the torso, bending forward (forward flexion), and slouching. 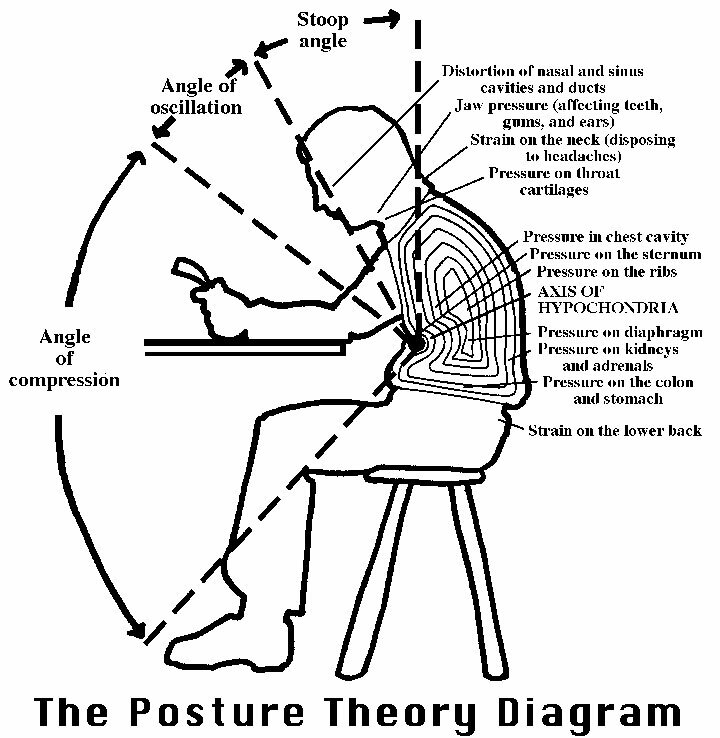 Of all of these, the most detrimental are Prolonged Static Postures or PSP’s. These occur when a dentist holds his body in an awkward position; such as side-bending, or slouching, for a sustained period of time. “Evidence suggests that using magnification loupes will improve the posture of dental clinicians, thus decreasing work-related musculoskeletal disorders; particularly, eyestrain & lower back ache.” - Branson BG, Gadbury et al.J Dental Educ. 2004;68:384-389.